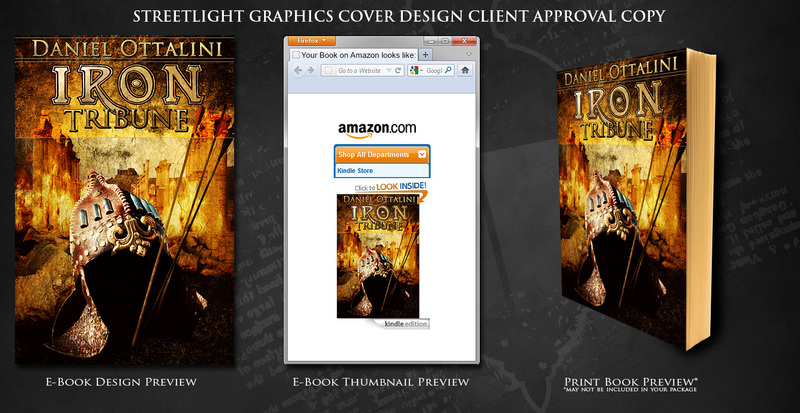 The kickstarter for Iron Tribune is in full progress now. With 22 days to go, we’re at 4739 out of $750 needed! As usual in most kickstarter campaigns, the funding amount jumps at the beginning and the end, but stays relatively flat in the middle. We’ve been on a slow, but steady, increase over the first few days, and if you haven’t joined in yet, now is a great time! Wow! It’s the end of day 1 of my kickstarter and we’re barely $100 away from my goal of $750! This is so exciting! Thanks to all my supporters, and if you haven’t thought of joining the effort, $10 gets you the novel, plus any digital only rewards! Click to check out the kickstarter here. And since every dollar raised goes to adding illustrations, you get the benefit of the ‘stretch’ goals regardless of pledge level. The cost of an illustration for the book is roughly $100-125 per illustration depending on various things, so the money will net me around 5-6 illustrations and maps with support for the formatting. Otherwise, it looks like we’ll reach our goal comfortably this go around! In other news, they’ll be a new post for The Border on Monday for those interested 🙂 What do people think about the series so far? I’ve been tempted to turn it into a novella, but I’d love to hear some criteria on it beforehand. You can read part 1 here. Here’s my estimated timeline for Iron Tribune to be published. I think the funding goal would be $500. What do you all think of this? I suppose I could bump it up a bit to include shipping, or I could have ‘rest of the world’ backers up their shipping as well. Totally would like some feedback please! Hi all,As many of you may know, I recently completed a Kickstarter program that helped me to fund a large portion of Copper Centurion’s cost. This go around, I offered a reward level that allowed the backer the option to create a character in my upcoming novel, Steam Empire Chronicles #3 – Iron Tribune. However, I thought it would be easier – and better – to have the characters (or several of them) introduced through a novella – in this case, Antioch Burns. I’d like to share with you what I’ve discovered from my experiences. Communicate Early, and make your expectations clear – Of the four people who contributed that level of money, one gave me plenty of information, two gave me some, and one gave me very little information to go on. So I sent an email, then one, then two. Both times I set ‘deadlines’ for people to return information by for inclusion in the story. Then I waited.. and waited..
You get the point. So I started out writing the novella, and to my surprise recently got a very large ‘info dump’ of information that will be extremely helpful in writing this particular character. But I did have to go back and rearrange some parts of the story – which was fine, I was just three pages in. 2. Accept the fact that people may not commit – Yes, even if people say they want to help, they may not. Oh well, nothing I can do. 3. Remember that every character you get is a blessing! Look at it this way, I don’t have to come up with a very detailed background for this character, nor a name (easier in some genres, harder with Roman background) – Also, I don’t have to come up with characteristics or habits, as someone has already done that for me. Indeed, I was able to start spinning the story in a direction I think I like. 4. In the end, it’s all about how well you spin the story – Just remember. In the end, you’re the boss! By the way, if you haven’t already, be sure to check out my novels Brass Legionnaire and Copper Centurion. I’m exceptionally proud of both of these novels, and they’ve reached #2 and #6 on the Steampunk Amazon Chart in the last week or so. In addition, Both novels have been consistently ranked top ten in multiple ebook categories (Greek and Roman, Myths, and Alternate history being a few). I figured I should type this up since I may be asked to give a talk on it at next year’s EPICon Conference in San Antonio, Texas. Hopefully this post will help those of you interested in creating a successful crowd-sourced funding drive. One of the most common places to do this is on Kickstarter (Sample Link provided), but other commonly used sites are Indiegogo, or GoFundMe. 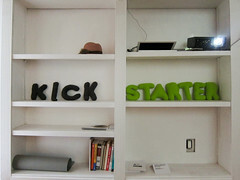 There are many others, but Kickstarter is currently one of the largest. So what do you need to know before starting out on Kickstarter? First, know the rules. You are not getting free money, and you are not guaranteed success. Just like you have to market your novel, product, business, etc, you also have to market your Kickstarter. Kickstarter is great for novels because you have something tangible to offer people when completed. Kickstarter funds can be used to help cut the cost of certain parts of the publishing process for self-published authors, or to provide additional monies for marketing, development, etc for both self-pub and small pub authors. Before you start a Kickstarter Campaign, it is critical to do your research. Look at other, successfully funded books on Kickstarter. What do they do? I can point out a few signs that generally signal a kickstarter will be successful. They have a video OR incredibly gorgeous artwork at the top of the page. They have a wide variety of rewards, including those starting at just $5. They consistently provide updates and check/reply to comments posted by people. They promote their kickstarter to friends, family, twitter/facebook followers, on goodreads, etc. They don’t ask for too much in the beginning. Sure, if you want to fail right away and get nothing. (This may not be true as you will soon see). For self-pub authors, smaller amounts are better, especially if you are a debut author. For my first novel, I was truly blessed because my aunt helped out. A lot. But by the time I ran my second one, I had both followers, supporters, and fans who I could turn to. This is the caveat I wrote about earlier. IF you have a wide backing of support, including people clamoring for your next novel (Not one person, but many), then you can get away with asking for slightly more. I would say the best range to stay in is the 1k-2k range. Creating a great title is important too. That’s what people will see first and what will grab them. Brass Legionnaire doesn’t tell people anything about what I’m doing. Copper Centurion – the 2nd Roman Steampunk Adventure does tell people what I’m doing. Finally, justify your costs. What will the money provide? I described how I originally wanted to fund the novel with just my own money, but wanted kickstarter funds to make it better. I shared how I wanted more maps, more artwork, and additional promotional materials. And people understood. I’ll end there for today. Hope to bring more to you very soon this week! By the way, just to let you all know, I’ve finished Roma Aeronautica. Now I suppose it is time to start typing Iron Tribune! Radio Interview Link & Last Day for Kickstarter! As promised, here is the link to the Radio Interview that I just did. Since then, I’ve read a lot about how people think they are a scam and what not, but the way I see it, I’ve gained some confidence in myself, gained some practice at how to effectively talk about your story, and can now use this audio file to help expand my readership. I’m also going to turn it into a youtube video to provide another way for people to find me. Also, the Kickstarter project for Copper Centurion is almost done! This is the LAST day for anyone to contribute to the cause! There are some awesome rewards available, such as a digital copy of all the artwork from books one and two, as well as getting a handwritten thank you note. Of course, my favorite is the one where you get to name your own character, but that is just me :-). Hopefully people are out enjoying their long weekend, but if you are stuck at home (or, like me, poor, grading work, and stuck at home) then take a moment to check out the cover for Copper Centurion. I’m really excited to be bringing this to you. Those of you who look closely may spot some clues to some parts of the story! But I’m not giving any more clues!